I've got a gorgeous yellow polish to show you today! This is the first yellow nail polish I've ever owned but I've really been wanting one since it's been sunny! I bought this on my haul the other day and I've been excited to wear it. This is a true yellow, in my eyes it doesn't lean blue or red, it's just yellow! I think it complements my skin tone unlike most yellows I've seen, which is why this is the first I've bought. The formula was okay on this, nothing exceptional. If I'd have been more careful I could have got away with 2 coats, but I used three for the photos below. 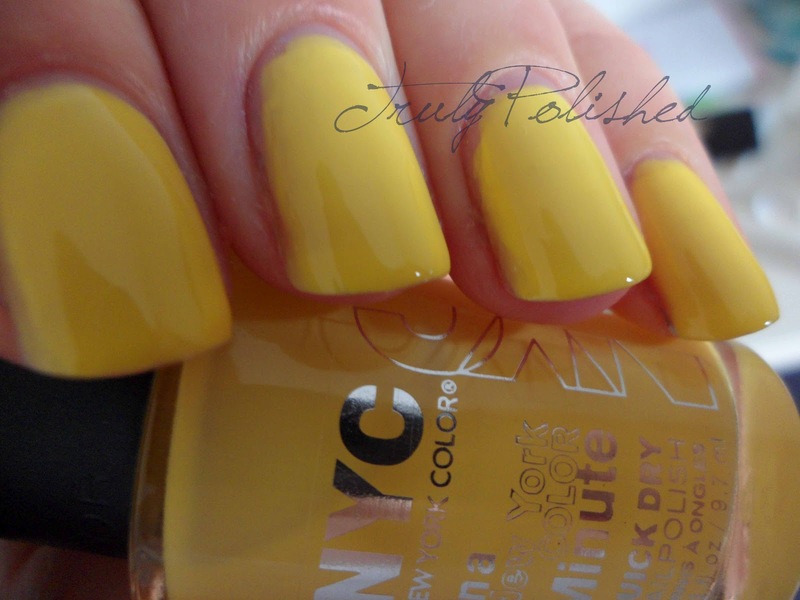 If you're looking for a true yellow polish to wear now the weather is getting nicer, I would definitely recommend this! I got it in Superdrug for £1.79. I bought this today too - such a gorgeous shade of yellow, which is difficult to find - it's got a slight pastel tone to it but still bright if that make sense! But it was only £1.79 though, sure you paid £2.99? You're totally right! A different polish I was going to post about was £2.99. I'm not feeling well at the moment and my head is all over the place when I'm posting!!! Thanks for pointing that out, I've changed it!